On Tuesday evening, August 16, 2016 our Heart of Compassion (HOC) International Faith Community concelebrated a Eucharistic Liturgy with 18 members of a local Rochester Hills Intentional Community at one of their members’ lovely homes. “As We Journey in One Heart of Compassion” was the liturgy aid that was used, created by ARCWP bishop Michele Birch Conery; priests, Barbara Billey and Jeni Marcus; candidate, Karen Kerrigan, and musican, Joanna Novosedlik. This joyous celebration was facilitated by Rev. Jeni Marcus with the assistance of a member of the Rochester Intentional Community and candidate Karen Kerrigan. To everyone’s delight, a dialogue homily engaged Mathew’s Gospel on the Beatitudes and the Eucharistic prayers were read by all present. 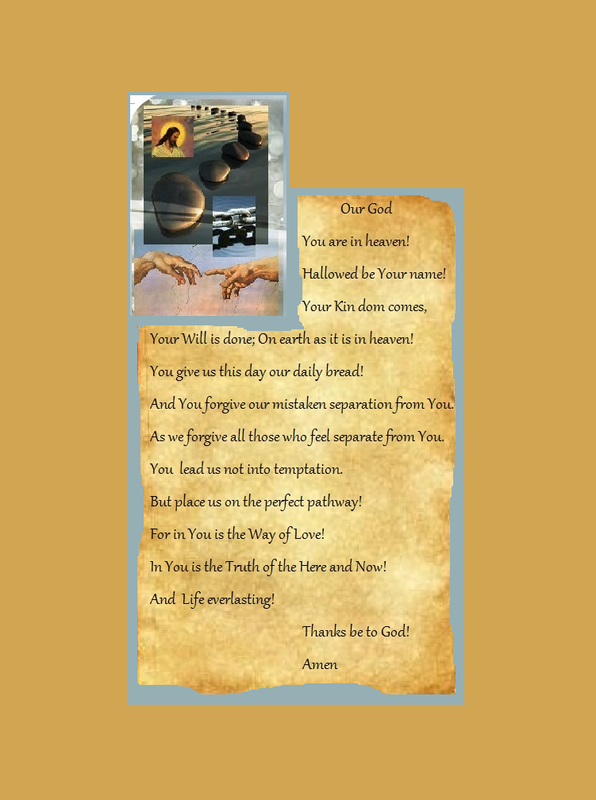 "Beautiful liturgy! Thank you for doing it" said many who gathered. Jeni’s response, "We all did it and thank you for coming!" Many expressed their hope to repeat the experience, either monthly or quarterly at various venues. The liturgy was followed by conversations and light refreshments. On August 13, 2016 the Heart of Compassion International Faith Community Pastoral Circle was front and centre at the Michigan Call to Action annual meeting and conference at Nativity Episcopal Church in Bloomfield Twp. MI. ARCWP bishop Michele Birch-Conery, priest Barbara Billey and candidate Karen Kerrigan attended with Jeni Marcus, priest, civil and employee rights attorney, former board member of Michigan CTA, and Church reformer. The Keynote speaker was School of Americas (SOA) Watch Founder, peace and women priest advocate, Rev. Roy Bourgeois. Fr. Roy shared his life journey as a Naval Officer during the Vietnam War and after participating and viewing its horrors, Roy evolved into becoming an antiwar and peace activist. He then entered the Maryknoll Order and became a priest. Because of his wartime experiences, Roy became acutely aware of the US military- industrial complex and how it negatively impacted poor people in the United States and indigenous people throughout the world, especially in Latin America. By applying concepts from liberation theology, he discovered that many Latin American oppressive political regimes were responsible for killing and torturing political dissenters and activists who sent their military officers for training at Fort Benning Georgia at the SOA. In response, Roy and other peace activists established the non-profit organization, SOA Watch. Members of the organization hold antiwar and SOA protests in front the gates of Fort Benning. In the past several years, Roy and many of his fellow protesters have been arrested and sent to prison for their activism including our ARCWP priest, Janice Sevre- Duszynska. It was through these encounters with Janice, that Roy became aware of the Roman Catholic women priest movement. 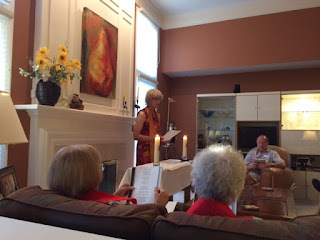 Roy’s interest and advocacy for women’s ordination was heightened after he agreed to concelebrate a Eucharistic liturgy with Janice at her ordination, which was brought to the attention of the superiors of the Maryknoll Order and the Vatican. Roy was asked to recant his position on the ordination of women but as a matter of conscience, he refused. That refusal cost him his Roman Catholic Church priesthood, membership with the Maryknolls, and eventually his ex-communication from the Roman Catholic Church. Roy shared with us his sadness and disappointment about the loss of his priesthood and connection with the Maryknolls; however, his deepest sorrow was that none of his priestly brethren had the courage to support him in advocating for the ordination of women. Roy’s talk was followed by a lively Q & A session where members of the audience made comments, including our Barbara Billey and Karen Kerrigan. Jeni Marcus asked him about his work in the SOA, his view of Pope Francis, the status of the Church relative to Vatican II reforms, and the recent proposed Vatican Commission for the study of women in the ordained Deaconate. After a break and lunch, the conference continued with a panel discussion facilitated by Michigan CTA president, Marianne Bernard, with panelists Roy Bourgeois; Jeni Marcus, Phill Dage, SOA , peace activist, musician and educator; and Jeaninie and Michael Daley, former president and longtime board members of Michigan CTA. The topic of the panel discussion was the status of our spirituality and faith journey in conjunction with the future of our respective ministries. Roy stated that he will continue to protest at Fort Benning until the School of the Americas is closed, as well as work for and with the poor in this country and in Latin America. He will also lend his voice and be a visible advocacy presence for Church reform and gender equality, especially as it applies to the ordination of women. Roy’s commentary was followed by Phill’s who talked about his University of Detroit High School trip in Junior year to Latin America where he worked with the poor and his subsequent trip as a teacher of English to the indigenous people after he completed his teaching degree at Wayne State University. Phill also talked about reaching out to young people in the United States through his music that is embedded with a Christian spiritual message. He mentioned that young people have a thirst for spirituality that unfortunately is not being satisfied by the traditional liturgical model of the Roman Catholic Church, a comment akin to one made by Karen Kerrigan earlier during the Q & A session. The Daly’s discussed their longtime work for post Vatican II Church reform, principally through Call to Action, locally and on the state and national level, where they held various elected offices. They also talked about their pastoral work for social justice, especially in the peace and civil rights movements and with the poor through the Pontiac, Michigan, Catholic Emergency Response Outreach Team .They believe Church reform can be achieved quietly in, and through, local parishes on the “grass roots “level .The Daly’s have always enjoyed a good personal and working relationship with their pastors at St. John Fisher and believe that Pope Francis is striving to seek and achieve reform in the Church. Finally, Jeni talked about her civil rights professional, secular and ecclesiastical political background and targeted advocacy for social justice, especially as it applies to Church reform, gender equality and the LGBTIQ community. She gave a brief history of her intersex struggle in light of secular cultural oppression and Roman Catholic Church doctrine which runs contrary to the realities of modern science, medicine, evolutionary theology and the concept of the Cosmic Christ. Jeni received a standing ovation from the audience and a smiling embrace from Roy. The conference concluded with a Final Prayer. even though it was the middle of the night. and take a place at the feast in the kin-dom of God. This time there's a gate, and it's a narrow one. Lots of people will try to get in, but they'll be turned away. But other people will get in. but the powerless and marginalized. Those “others” are the ones who will get in. Sure, people listened to him, but that's all they did. They didn't take his teaching to heart. They didn't change their lives. they didn't do anything else. They didn't put Jesus' message into practice. I remember my 5th grade classmate Judy. Sister told us that we couldn't talk with Judy except at school. We couldn't go to Judy's house after school. So, except in class, we couldn't have anything to do with Judy. decided to be baptized at Grace Lutheran. My mom wanted us to go. that Jesus called “evildoers” in today's Gospel. We knew the rules, and we followed them. We jumped through the hoops. We thought our baptism would get us through that narrow gate. just so we could get a free pass into heaven. It was all about saving ourselves. and it would be their fault. we have to aim our whole life at following the Way of Jesus. in doing good for others, especially the poor and the outsider. It's a lot more than just jumping through those hoops. It's not enough to get baptized and be labeled a Christian. It's not enough to share a meal with Jesus. It's not enough to just listen to what he says. It is necessary to get to know God by following Jesus' Way. to feast in the reign of God. we help to settle here. We do it walking side by side with our African American friends. voting our conscience for the common good. by the way we live our lives. Saturdays at 4:30 p.m./Sundays at 5:30 p.m.
Should the Catholic Church allow women to become priests? Claremont Graduate University Professor Rosemary Radford Ruether, Jane Via of the Roman Catholic Womenpriests, and Gina Messina-Dysert, visiting assistant professor at Loyola Marymount University lead a panel discussion on women's ordination in the Catholic Church at Claremont Graduate University.